Although most of us now take technology for granted and expect almost everything to be instantaneous, there was a time when people would wait months to receive a letter from a loved one. Time has passed, and many things have happened, especially in the technological space. I was trying to understand how we got where we are now, and I decided to write this post to bring some order to my thoughts. In the following paragraphs, I will try to summarize a basic chronology of the main technological shifts. For thousands of years, the most successful societies were based on technologies that relied on state-of-the-art mechanical and civil engineering. Think of Roman streets and buildings, the Great Wall of China, or the Egyptian pyramids, to name but a few. Well, these works were certainly impressive, but they were all produced using manually powered tools. We can define this as the "Manual Manufacturing" era. So, who was the winner of that era? Well, I think it was those who controlled the energy, and at the time, the human workforce was synonymous with energy. Those who disposed of more human capital were able to build complex architectural structures, go to war, conquer new lands, and so on. That was the time when successful religious movements were at the top of the power structure. The first crucial technological disruption, known as the Industrial Revolution, started in the late 18th century and was made possible thanks to the invention of the steam engine. In this first technological shift, businesses moved away from traditional manual manufacturing to a more efficient form powered by steam engines. It is worth noting that it took thousands of years to see this first major technological revolution. So, who took advantage of this new technology? Industries such as textiles and transportation became very popular and prospered, but I would argue that the most successful companies were the ones controlling the energy required to power the machines - the coal companies first and the oil extractors later - when the combustion motor was invented. No need to say that this set a new worldwide political stage. 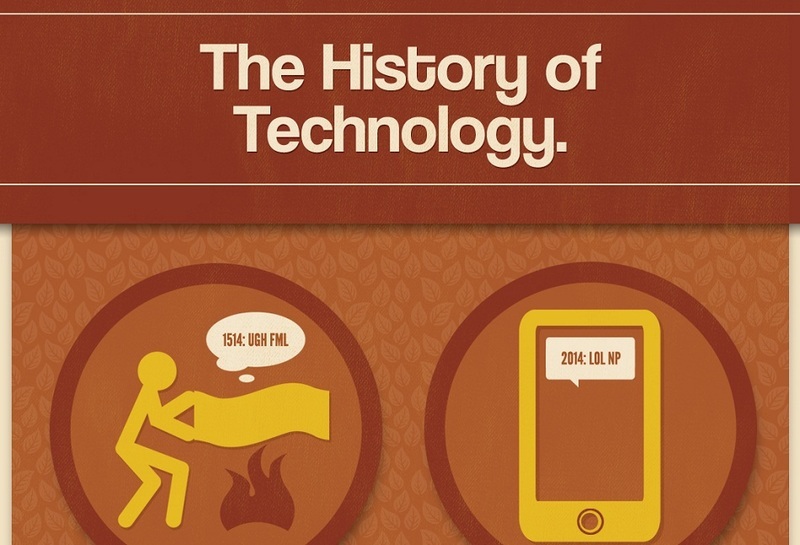 The second technological shift, known as the Digital Revolution, happened roughly two centuries after the first. In practice, the Digital Revolution was the shift from mechanical work to electronically operated devices. Think of machines storing information and automatically executing pre-programmed operations. An example would be the robotic arms that have become very common in all modern factories. This also made it possible for technologies such as the Internet to emerge and become mainstream. The way the Internet works is outside the scope of this post, but, fundamentally, it is a worldwide communication network, or, if you prefer, a massive network of interconnected electronic wires that allow remote computers to exchange digital information almost instantaneously. In this era, companies such as Google, Amazon, Apple, and Facebook have understood the importance of collecting and controlling information. Some analysts say that information is the new oil. In many ways, controlling the world's information is the same as controlling people's minds, and, if you want, this means controlling the world, via more-or-less-subtle political power. Nowadays, not even one century into the digital era, we are experiencing another major - and probably much more disruptive - technological revolution. Four significant technologies are simultaneously being developed: artificial intelligence, virtual reality, the blockchain, and quantum computing. (If you want to understand those technologies, please refer to my previous posts.) The important point here is to realize that we are talking about four technologies that are being developed and are gaining traction, simultaneously; each one alone with the potential of being a game changer. Who is the winner here? It's still too early to say, but the trend is clear and will be driven by a combination of various elements. Information is required to develop and train artificial intelligence devices; quantum computing will make it possible to improve exponentially the number of lines of codes executed by computers in a certain amount of time, which will be very useful in developing the new generation of virtual reality devices. As for blockchain, its trend towards decentralization could benefit us all, but real applications - excluding the controversial Bitcoin - are not there yet. Giants such as Google, Amazon, Apple, and Facebook are working on all those axes, and I can promise you that change is coming, and it's coming fast. Where will this bring humankind? What will be the next big company? What will the world be like in a few decades? These are all interesting questions that are worth discussing carefully. But I'll leave this discussion for future posts. UPDATE: I describe in this post what I think is the fourth technological revolution.